Google Read and Write for the Win! My son, who is in the third grade, hates homework. His biggest anxiety in returning to school this year was that he would get a lot of Homework. I also hate homework, especially in primary. So last night, when we had to sit down to write a 2-4 minute script for an All About Me project, I was dreading it. Then I realised, I could make this so much easier on him. I spent all this time training teachers on Google tool, why not train my own kid. I asked him to grab his Chromebook and we opened a Google Doc. Then, I showed him the magical puzzle piece - Google Read and Write (specifically the talk and type feature). After setting the microphone to French (he is in a French Immersion school), I asked him to say "Bonjour, je m'appelle Bennet" (Hi, my name is Bennet). It typed for him. His eyes grew the size of saucers. As he left the room to get his poster I heard him say to himself "This is so cool!" and the kid who hated homework, stuck to it for 2 hours! He learned that the mic does not always hear what he says and he may have to type some words in himself. He also read A LOT of French. He didn't speak and leave what was written; he read and corrected as it went. The experience was so much more rich than struggling through the phonetic of what he was attempting to write or having me type it for him. He felt empowered. I was thrilled. 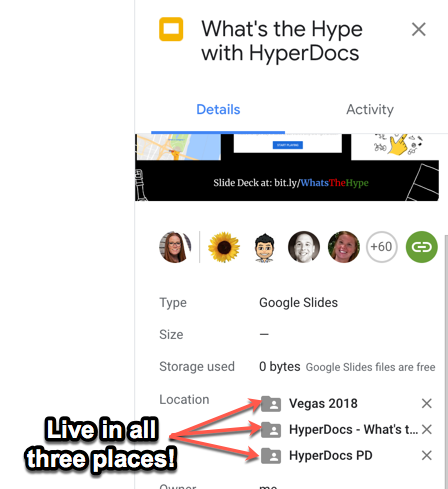 and I witnessed the power of using GSuite with Littles! That said...this all begs the question( as my friend Peter Cameron pointed out) - "how do the kids who don't have the same supports at home feel/cope. And so the homework debate continues..."
Yesterday was the first day of school. For me it is not the typical day. I don't have students, I did not have to set up a classroom, I did not review a syllabus. As a member of a district team, I went into an office type building and "met". The meetings were centered around team building. The team I am currently on is one of the best teams I have ever worked with. We are not without fault, but we work hard, get along, and get the job done - usually very well....#IMHO. We did one activity where we reviewed a survey we took on the last day of school in June. The survey questions were around aspects of our roles and our procedures in a Stop, Start, Continue format. The last day of school is an interesting time for teachers. We are eager for two month away from formal work, and it is often a time to let go of feelings that have been carried in the year. There was a lot of honesty in the responses, and it was interesting to read them once we return from a two month break. To be honest, I had seen the statements that were highlighted in our meeting the night before as I searched My Google Drive for something else. A few of statements hit home....hard. My back was up. I spent some time talking through the emotions I was feeling, the night before the first day - a day that is often wrought with below the surface anxiety. I came into the meeting prepared to discuss from a place that presumed positive intentions. What struck me the most about the activity, however, was how our team co-ordinator, Trevor Krikst, framed the activity. He started the conversation by recognizing that the discussion we were about to have might (would) be difficult. Then, we said the words that really stuck with me. 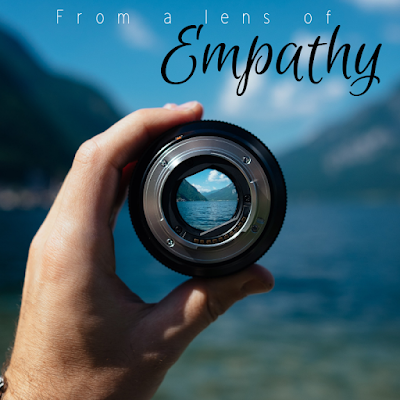 "When looking at the statements, let's approach it from a lens of empathy". The sentiment is not new - but there was something in the way he phrased it that struck something in me. It made me not only think of the activity (and team/personalities) at hand, but also about how I approach my role as resource teacher. It will be my mantra for the year. I have a ton of respect and admiration for Trevor. He is a phenomenal facilitator, critical thinker, and a down to earth funny guy (#DadJokes). I really appreciate this lens he has encouraged me to see through this year. Thanks Trev! 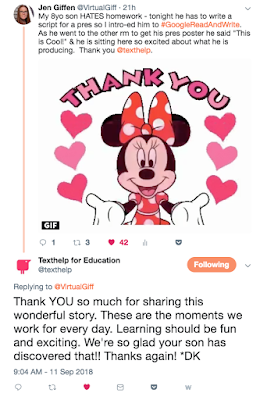 VirtualGiff's Back to School Top 7 Google Tips - Day 7 - Making a File live in Two Places - SHIFT +Z! Earlier this week, I decided to share one of my favourite tips every day for the seven days leading up to the new school year. (See the full blog post here) Here we go for day the final day - day 7. Happy labour day - and have a great first day for those starting back to school tomorrow like me! Note for Mac Users: When you see CTRL in this pot, use COMMAND instead - it will do the same thing. I have a document I want in two folder but I don’t want to make a copy because then when I update I need to update in two places! You can have the SAME document be live in two places! Simply go to the file in your drive single click the document title and then press CTRL +Z (at the same time). You will get a pop up box with your Drive folders. Drill down (or up) to the additional folder you want to add the file to and click the “Add here” button. Any changes made to the file will be reflected when you access the file from wither folder. Have a great first day back tomorrow!! VirtualGiff's Back to School Top 7 Google Tips - Day 6 - Showing on Part of a Video and embedding it in Slides! Earlier this week, I decided to share one of my favourite tips every day for the seven days leading up to the new school year. (See the full blog post here) Here we go for day 6…. I have a great video to show but I only want to show part of it in my slide deck! Insert the video in your slide deck (Insert → Video). Single left click the video. Note: clicking the auto-play checkbox will automatically start the video. You can also mute the video so the audio will not play, only the visuals will show.